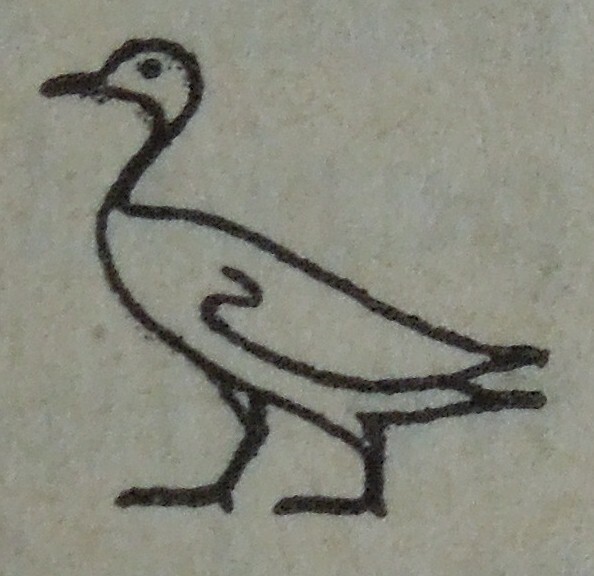 In this first post of the New Year, I thought I’d start off with something fun, and while it’s not scientists performing interpretive dance in the 1950’s, it takes us in another direction combining archaeology and animals – back to the first mention of domestic birds in Ancient Egypt! 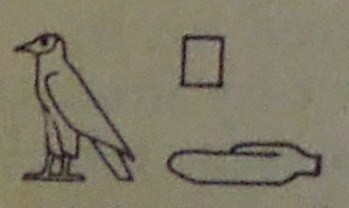 I came across J B Coltherd, a scientist at Edinburgh’s Poultry Research Centre’s article, “The Domestic Fowl in Ancient Egypt”, in Ibis, 108 (1966): 217-223 in the off-print series and discovered some interesting ideas on origin of chickens and geese in Egypt and that it could be reference by hieroglyphs depicting the different kinds of birds. 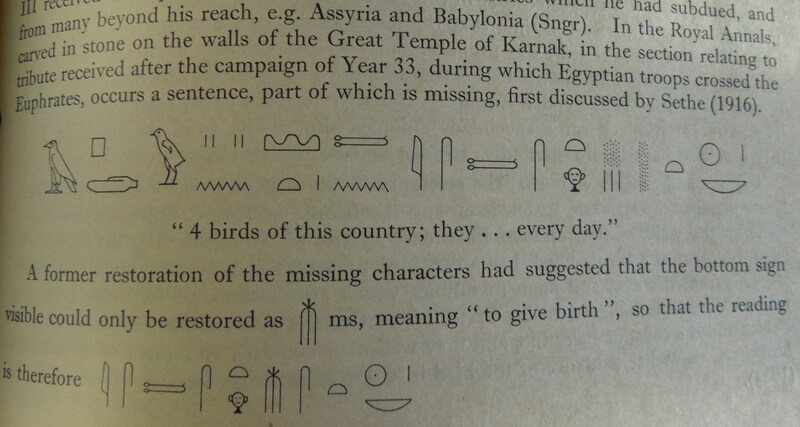 In this article, he traces the birds’ history through trade routes and appearances of references in hieroglyphs from different time periods. This article would certainly be fascinating to anyone interested in archaeology, Egyptology, as well as biology and animal migration. 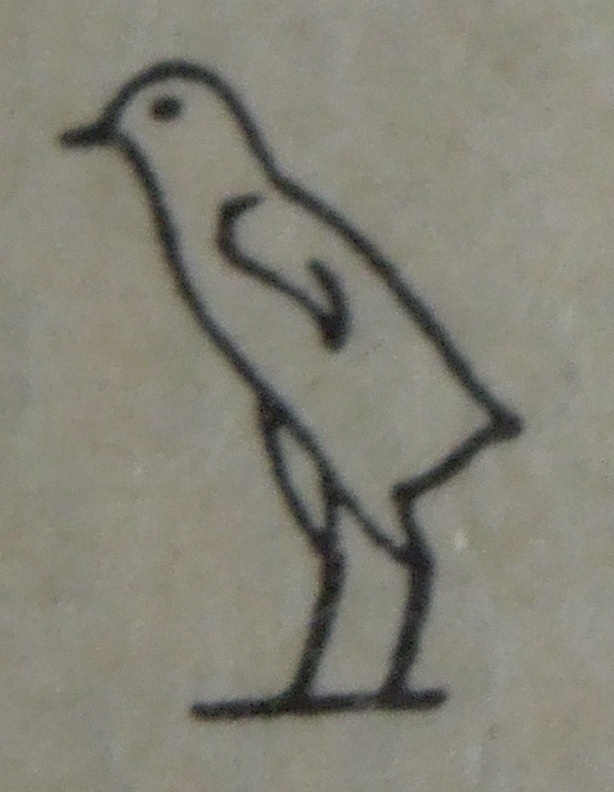 It would be interesting to know if anyone – scientist or archaeologist – has found any more specific and current information on when domestic fowls were introduced to Egypt. Any ideas – please post! This entry was posted in Printed Collections by towardsdolly. Bookmark the permalink.